Governor Nelson State Park is part of the Wisconsin State Park system, located north of Madison in Waunakee, WI. 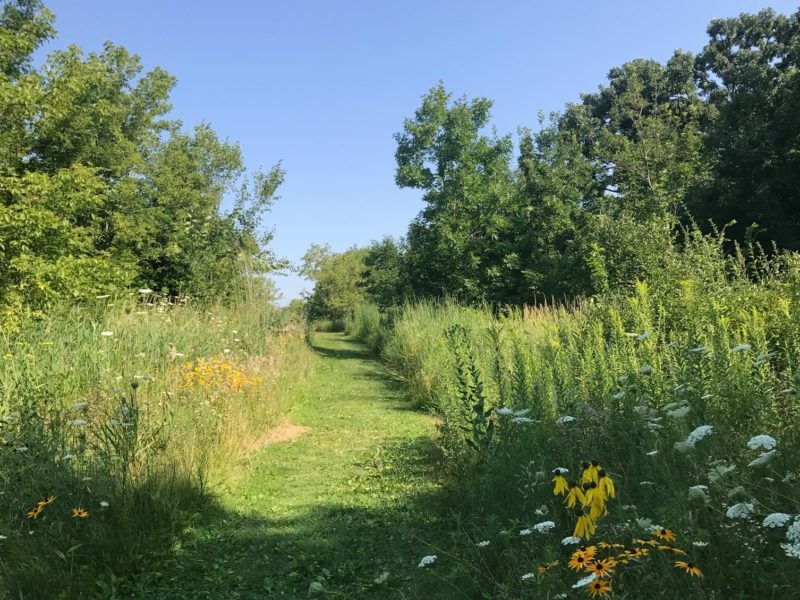 It’s located on 10,000-acre Lake Mendota, and is a day use park offering a sand beach, boat launch, fish cleaning facility, picnic areas and playground equipment, prairie restorations and over 8 miles of trails. Native American effigy mounds can be seen on the Woodland Trail. There are a variety of trails with all levels of difficulty, and varying landscapes. 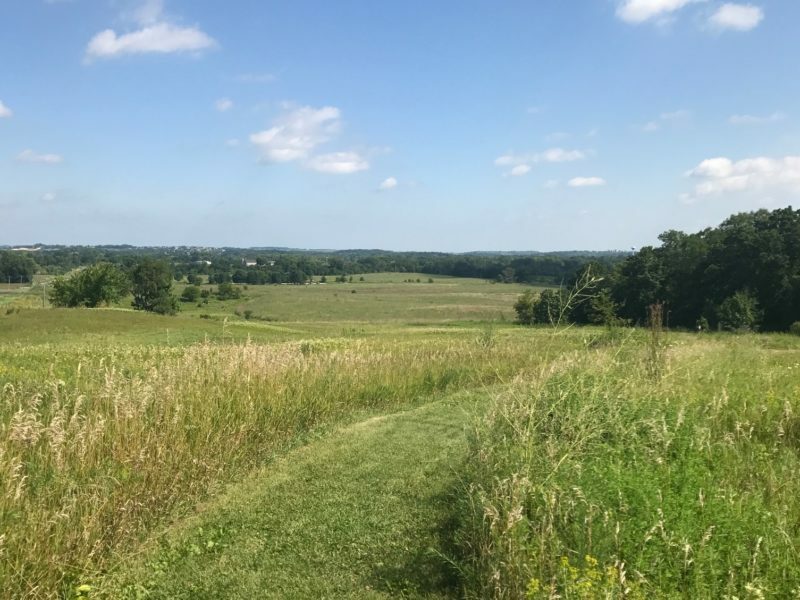 The Oak Savanna Trail and Morningside trails offer gently rolling terrain and great for little legs. 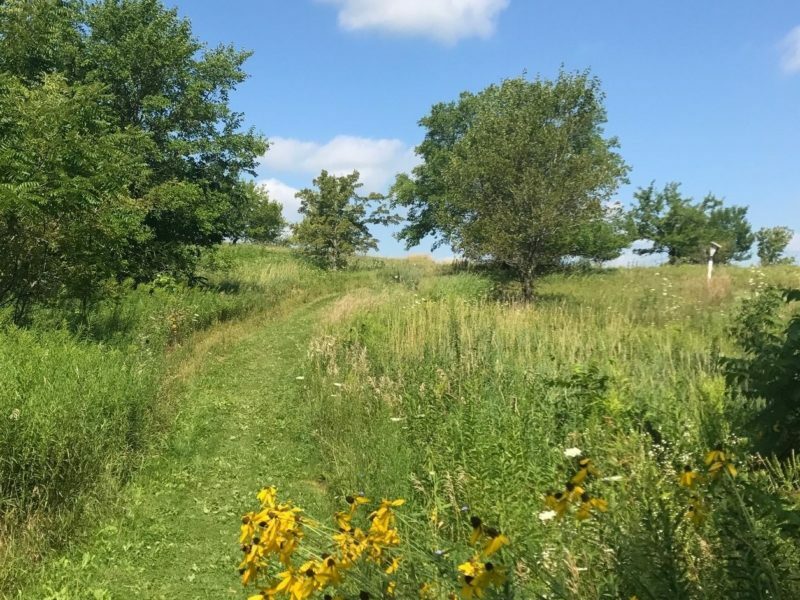 The park has several trails that go through restored prairie areas, which provide great opportunity to see various plants and wildlife. Most trails offer an up close look at restored prairies, which is great for viewing plants and wildlife. 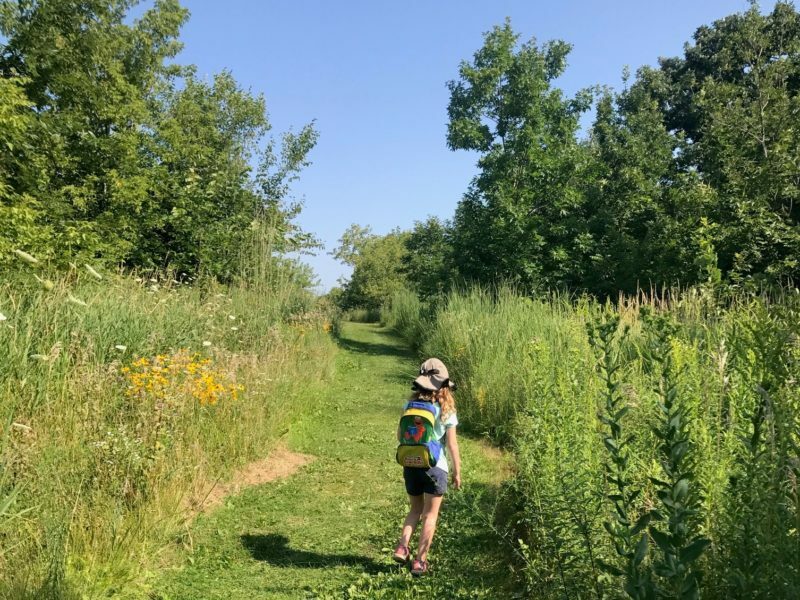 Trails are mostly wide, mowed grass and feature gently rolling terrain – which make them great for little legs! 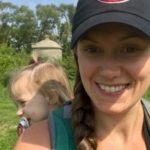 Daily use fee for Wisconsin Residents is $8 or you must have a State Park sticker. There are multiple parking lots within the park, and all of them have trail head access. There is not always a ranger at the main entrance, be sure to use self pay station for parking if no one is there.